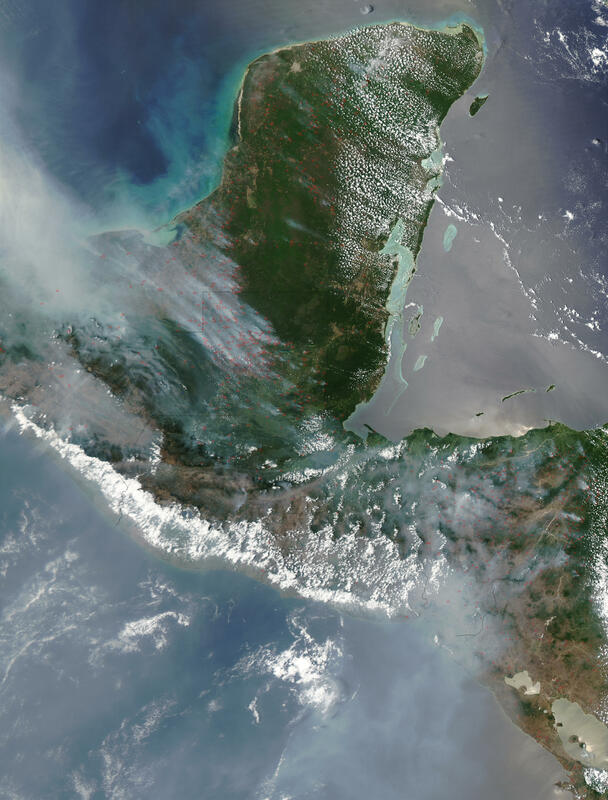 On April 20, 2003, the Moderate Resolution Imaging Spectroradiometer (MODIS) on the Aqua satellite captured this image of fires burning across the Yucatan Peninsula and Central America. The fires, marked in red, are billowing thick smoke, which has pooled into the nooks and crannies of the rugged terrain. 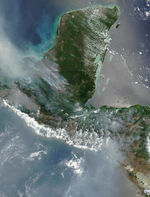 The smoke is stretching northward over the Gulf of Mexico.